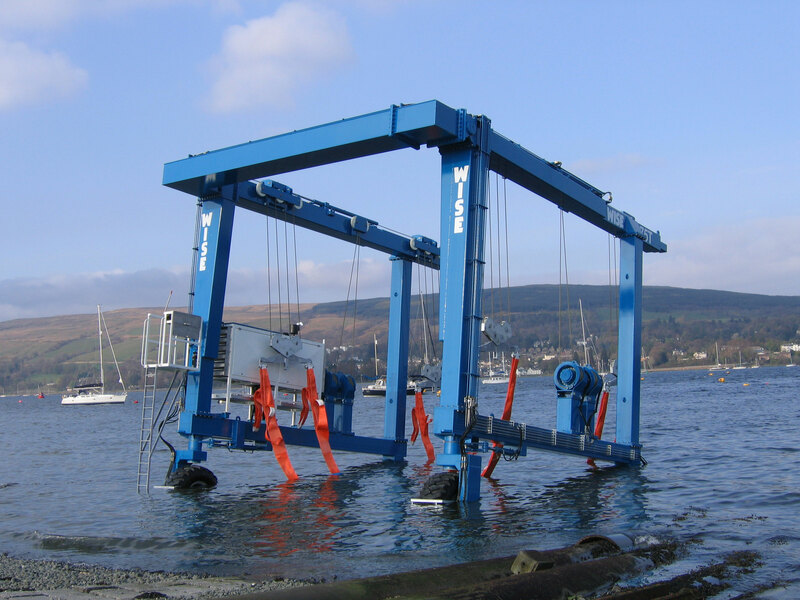 The amphibious marine hoist is based on our standard marine hoist only with improved features allowing for slipway operation. The Cross beam is mounted at the top of the machine which simplifies loading and allows for direct loading and unloading from vehicles. 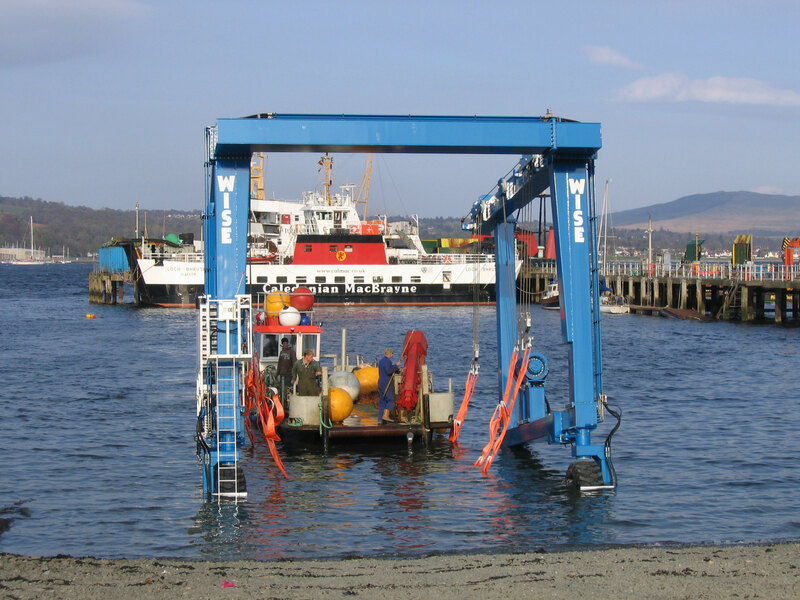 The flexibility of the amphibious marine hoist allows operation not only on slipways but finger piers and docks. 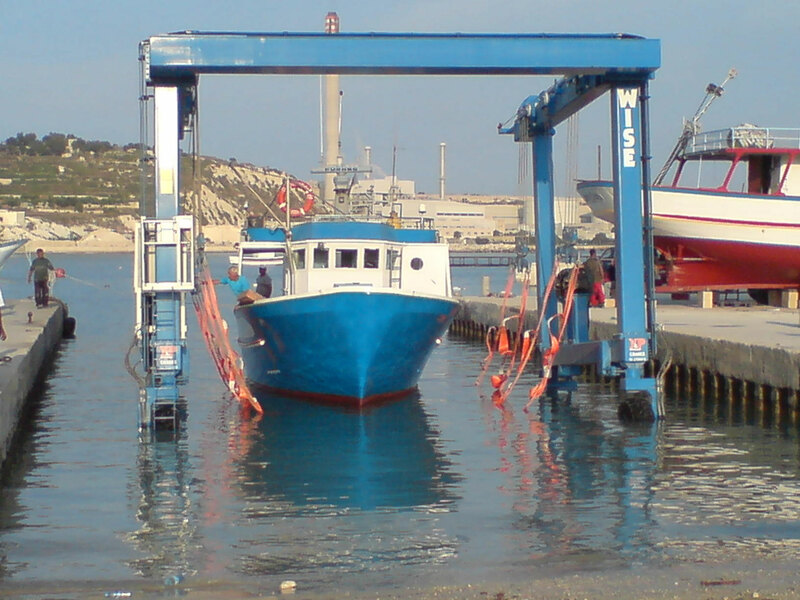 This allows for one machine to operate at several different boat lifting areas. 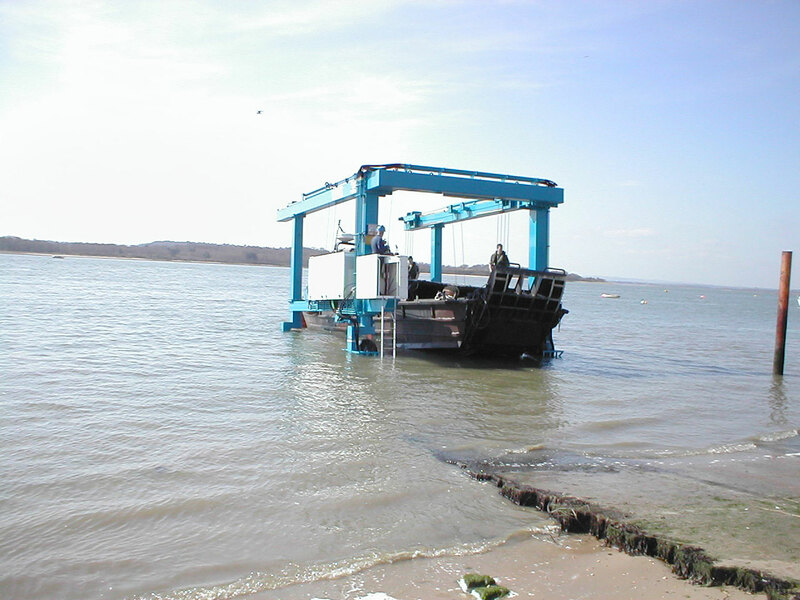 To improve the marine hoist for slipway operation, the amphibious hoist boasts increased traction drives and two speed transmission to cope with the increased gradients of slipways, high traction tyres are also fitted. Because the machine enters the water, Stainless steel pipes, fittings and hose connections are used below the waterline, along with additional paint layers. 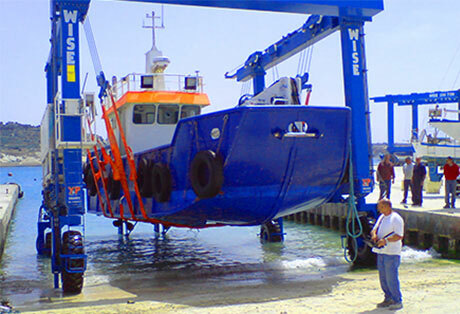 The cab, engine canopy and winches are raised to ensure they do not enter the water preventing corrosion. 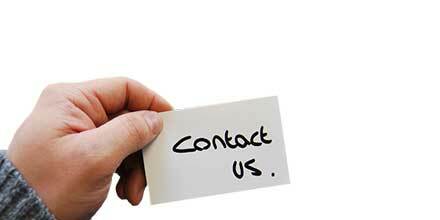 With Boat hoists in locations across the globe, Wise has built a reputation for supplying quality, durable machines through meeting or exceeding stringent UK and European standards.